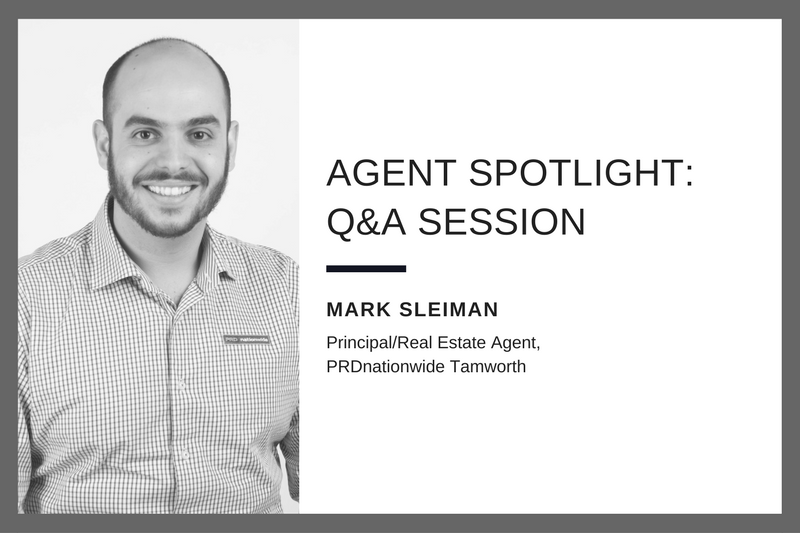 For PRD Tamworth Real Estate Agent, Mark Sleiman, work is about more than buying and selling homes—it’s centred around ‘Building Relationships’. Mark Sleiman is the Market Leader in Internet Advertising. Mark has won many accolades including the PRDnationwide Creative Marketing Award and a consistent top ranking in the PRDnationwide national Top 10 salesperson list. In the interview, Mark shares his experience as a millennial agent. Read on to see what he had to say. PRDnationwide: Can you give the audience a bit of your background on who you are and where you are operating? Mark:	I was born and bred in Tamworth NSW, a rural city with approx. 60,000 population. I studied here, grew up here and started work here. PRDnationwide:	What things can you identify that has led to your success? Mark: My career is centred around ‘Building Relationships’. All my prospecting activities are centred around the people aspect of the business. And I let my systems and procedures and regimented ‘Recipe’ or ideal week take care of the rest. PRDnationwide:	Affiliation with PRD, what led you to the PRD Nationwide in particular? What are some of the benefits you have seen from that? Mark: I started as Rob Philp’s PA in 2010. PRD was the only office in Tamworth at the time that offered me a genuine opportunity to grow in the business and to offer training for a young business person like me. PRDnationwide: What’s your thoughts on the property market in Tamworth in 2018? Mark: The property market will be competitive to get listings. Prices will remain steady. Other agencies are starting to understand the importance of social media and personal brand awareness. We will have to change the game again to get in front of the competitors. PRDnationwide: What exactly are you doing to stand out from the crowd and any systems or procedures that you are using to get ahead? Mark: I have a structured prospecting and marketing program; I also have a structured system and delivery program. I don’t do anything special. I just do what needs to be done at the right time and stick to structure. And also have the right conversations face to face. PRDnationwide: What makes PRD Tamworth different from other real estate companies? Mark: PRD Tamworth is different because we are always looking for the next opportunity and we operate well out of our comfort zone which a lot of businesses do not. We are a proactive business, not a reactive one. PRDnationwide: You are well-versed in social media marketing, did it add value to your business? Mark: I was the first agent in my marketplace to use social media for real estate. This is the new marketplace in Australia, and I use it for brand awareness, to give information to my potential clients and advocates and social proofing. PRDnationwide: Tamworth being a small regional town, what are the challenges you and your clients face in your area – for buying/selling properties? Mark: Market share growth (agencies to population) is a challenge. However, this can be overcome by introducing new technology and strategy can be slowly adopted in a country town. Mark: Have your finance pre-approved before you attend inspections. Be proactive, as opposed to reactive. Mark: Take risks, make mistakes, learn, live and love. PRDnationwide: Tell us more about your involvement in the local community? Mark: We support our people, we give to charity, we support our staff in their endeavours, and we do the right thing. Stay tuned for another agent spotlight next month!